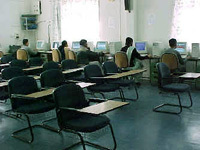 The DIC at North-Eastern Hill University, Shillong started functioning from November 1999. The Centre has greatly met the need for relevant IT services of the University and adjoining institutions of the northeastern region of the country. In the past twenty years more than ten thousand users of the region have used the Centre's facilities and services. National trainings, refresher courses at the University level, and regular in-house training for researchers, M. Sc. students and staff of the University on IT relevance in biological science are the regular feature of Centre/s activities. Till date 20 national training programmes and 13 refresher courses have been conducted. A National Seminar on 'Patenting in Biotechnology' sponsored by DBT was organized by the Centre in October 2003. The Centre also gives access to subscribed Biotechnology Abstracts and Reference Update to users and also to email on request. The Internet access, recently upgraded to Leased Line, scanning, and printing, has greatly benefitted the researchers and students who otherwise have very limited access to such services and facilities. The Centre has compiled data in HTML format on CD for the "Helminth Parasite Spectrum in Northeast India" (submitted to DBT for copyright and publishing), "Traditional Fermented Foods and Beverages of the Sikkim Himalayas"; "Medicinal Plants of Meghalaya" and "Mosquito Fauna of Northeast India with Special Reference to Medically Important Vectors". Another focal point of the activity is development of software on Visual basic for information on classification and taxonomy of plants. Considered for up gradation to DIC with 'Excellent' remarks during the XIth Plan period as per the Sub-DICs' 2nd review meeting during 29th October 2007.
inducted as one of the Examination Centers for conducting the National Level Bioinformatics Certification Exam (BINC), 2008 onwards. has been sanctioned project "North East Parasite Information and Analysis Centre (NEPIAC): an in silico approach" from Department of Information Technology, Ministry of Communications and Information Technology, GOI. 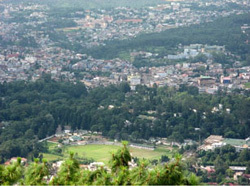 Shillong, the capital of Meghalaya is located at an altitude of 1496 meters above sea level. Tucked away in the hills of the Eastern sub-Himalayas Meghalaya is one of the most beautiful states in the country. Nature has blessed her with abundant rainfall, sun-shine, virgin forests, high plateaus, tumbling waterfalls, crystal-clear rivers and meandering streamlets. Destination Shillong: Shillong is connected to Guwahati by National Highway 40 and it takes 3 to 4 hours to cover the distance of 103 kms. Airport: The nearest airport is the Lokpriya Gopinath Bordoloi International Airport (Guwahati). The flights that touch down in Guwahati originate from major cities in the country. From Airport to Shillong, taxis are available. Train: There are several trains that connect Guwahati with major cities of the country. From there, rail passengers can commute to Shillong by buses, taxis and Sumos.